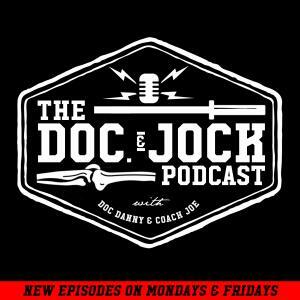 On Episode 215 of the Doc and Jock Podcast Doc Danny sits down to talk about chronic pain. Chronic pain can be a weird thing. Take someone with lower back for example: often times patients complain of chronic pain of the lower back and as an assessment Danny will ask the patient to bend over and touch their toes and their response is to FREAK OUT. However when they are leaving Danny's practice they'll have no problem hinging to get their purse/bag. The point is that often times the fear of pain is worse than the pain itself. On this episode Danny explains how to treat someone in this situation and help get them past their chronic pain.